Ah, writing. It’s what makes you you. It’s what wakes you up in the morning, what keeps you up at night, and ultimately, what makes you the best person you can be. You can harness its powers to explore whole new places without ever leaving your home; you can use it to explore the life of someone else in a way that produces no fear – writing is powerful. Writing is freedom. Chances are, you fell in love with writing for a reason. That reason may be totally obvious, or it could have been something that clicked in your subconscious – whatever it was, all you know is that now you’re trapped in the most beautiful routine in the world, and not a day goes by in which you don’t at least think about writing. It’s such a beautiful thing, to find a passion you can dedicate so much time to. But what if all that time you’re spending ends up providing very little results? What if you’re just going through the motions, never really progressing, never really doing anything? Well, the harsh truth of it is, some of you probably are. And that’s okay – so long as you understand how to change it. The majority of the time, the issue lies in the way people are spending their time. Of course, any time spent sat writing is time spent productively, right? Well… not always. You see a lot of people spinning their wheels year after year, working on the same projects in the same sort of ways, producing the same end results. Sure, this will improve your writing after time, but it’ll be a long and slow process. Don’t be disheartened if you fall under this sort of bracket, because it’s a very common mistake. It’s easy to get caught up in one project, to start a novel and get tangled up in its roots for the best part of three years, only to never really get anywhere with it. It happens a lot. More than you probably realise. Don’t get it twisted, though. If writing a novel is your goal, then yes, you should likely spend a lengthy amount of time working on it. However, one of the most common mistakes you see is people spending that time in the wrong sort of way. If you’re burning through rewrite after rewrite, correcting minor details every day and never taking any time away from your novel, you’re more than likely getting nowhere fast – that’s just how it works. Another common mistake is people who jump aboard the novel-train way too early, and attempt the dreaded task as one of their first projects as a writer. That is both highly brave and highly stupid – and I’m allowed to pass that judgement, because I’ve been there myself. And let me tell you, that book was freaking terrible. So, now you’re left with a slight dilemma. You want to write books, you want to write them NOW, but you aren’t sure if it’s the right thing to do anymore. Well, my friends, make some room, because I’m about to introduce you to an overlooked tool that will change your entire game. Let’s not go into too many details – you all know what a short story is – but for the purposes of this exercise, we’ll say they’re a type of fictional writing that fall somewhere between 2,000 and 15,000 words. Got it? Good. The thing with short stories is that they’re very underrated. Writers tend to overlook them because they feel as though they don’t come with an end goal, that there’s no greater vision. And that’s understandable, until you look into it further. With a novel, you have lots of end goals: getting an agent, being published, self-publication, selling movie rights, becoming an international bestseller – no matter how far-fetched they may get, they’re goals all the same. But short stories are just as important, and you can make use of them no matter what – even if you’ve already written a novel. The only problem is, short stories don’t come with as much glory, they aren’t as amazing. But the fact is, they’re an amazing tool, and if you want to write great novels, short stories are the best place to start. It’s tough to get pacing and direction and flow right first time, especially if you’re trying to do so over 80,000 words… You’ll save so much time if you spare yourself the struggle and perfect these crucial elements over shorter works of fiction. Once you’ve mastered them in short stories, you’re halfway there – you just have to drag the plot out a little and fill in the blanks. Think of short stories as your training wheels. You wouldn’t jump onto a huge mountain bike with no prior riding experience and attempt to conquer the Red Bull Rampage (type that in on YouTube if you don’t know what it is, it’ll make this comparison way more entertaining,) so why would you attempt the same in your writing career? Use your training wheels. Ride the short stories first, and after conquering those, you’re ready to take on the beast. It doesn’t matter if you’re totally new to the world of writing or if you already have ten novels under your belt, short stories are a tool that you should always make use of. It never hurts to go back to basics, and starting with them is logical intelligence at its most basic level. And, if you simply must write with a goal, you can submit your short stories to writing competitions. In fact, you should definitely do that. 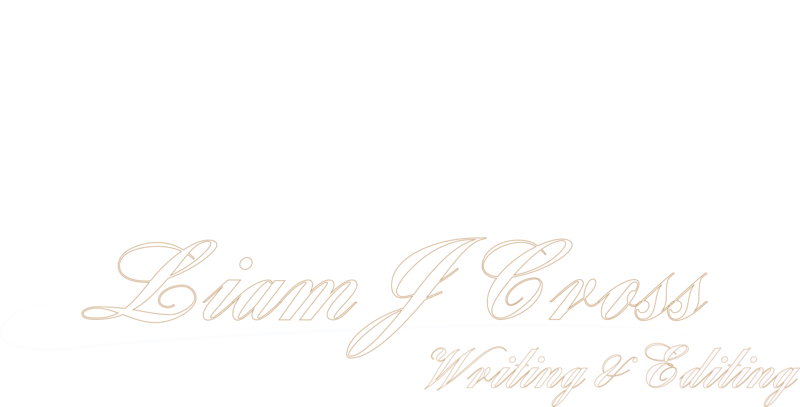 Writing competitions are a great way to get noticed in the wide world of fiction. The more wins or tops tens you have (more so in well-renowned comps,) the more you can put on your author bio when it comes to querying agents and submitting to publishers. There are many reasons as to why short stories are a great tool, and you’ve been given many examples over the course of this article. Now all there’s left to do is pick up your pen, power up your computer, and start writing.